A friend of mine recommended to use Vertabelo and today I tried it out - with great surprise this is one of the best tools I've got to know. 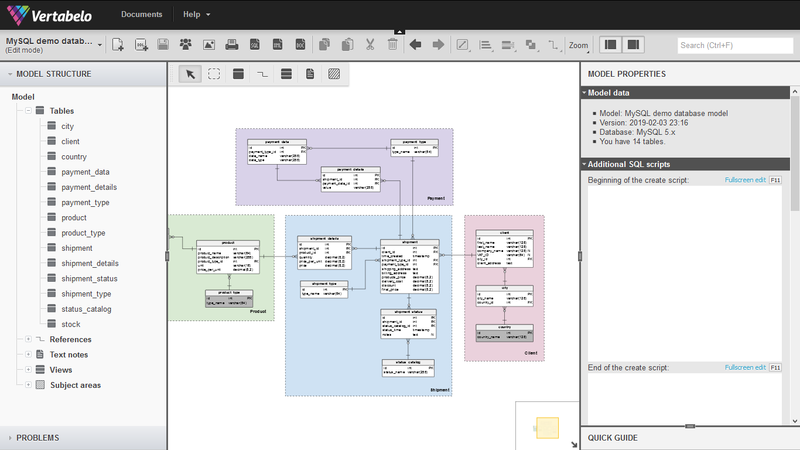 It's a tool to visually design your relational databases with tables and structures. In the end it will create an SQL code to in fact create your database structure. Really cool. It also has collaboration features which are useful and much more. Try it out!